Focusing your marketing efforts on a specific niche makes your efforts much more powerful and increases your potential ROI. Going niche is a valuable marketing strategy and should be considered in your business. The following are some ideas about how to use niche marketing successfully in different industries. Your business likely utilizes unique and specific technologies to serve your customers. You should consider which subset of the market (niche) is best served by these technologies. Then utilize your marketing efforts to explain to this niche market how your technologies help them. For example in the automotive industry, Ford has created different lines of vehicles with technologies suited to serve specific niches. Another example is how solar companies target customers in areas with tax incentives to install solar panels. Understanding the specific niches that are most-benefited by your technologies is vital to your niche marketing efforts. Content is king in the internet marketing industry. The market consumes more and more information each day as the internet becomes integral to our lives. This represents an opportunity to market to your niche with various content and blogs. An example of this is in the medical industry where content about the health benefits of certain foods can be explained thoroughly. The medical industry can utilize content marketing to explain the science to its targeted niches. Content and blogs should be a large part of your niche marketing efforts. You need to explain what the products and services you offer are in a clear and crisp way. If your customers cannot figure out what you sell, then they will not buy anything from you. This should be intuitive, but many businesses make this critical error. Clearly and crisply portraying your services and products is also a useful tactic in targeting your niche market. You should focus your service and product descriptions to this niche market specifically. What are their pain points and how do your products and services uniquely address them? One powerful strategy for focusing your niche marketing efforts is to create different product lines for your different customer niches. The more unique you can make a product line to a specific niche, the better this strategy can work for you. Doing this makes your product more valuable because it is made exactly for specific customers. For example in the insurance industry, different insurances can be created depending on specific characteristics of the prospective customers. Another example of this is watch product lines, which are created and targeted specifically for men or women. Differentiating and targeting niches with your differing product lines can aid your marketing efforts and increase your sales. The obvious first question in niche marketing is: “Who is your ideal customer?” Then the follow-up question should be: “And where do they hang out?” The answer to the latter question is where you should focus your marketing efforts. Go to where your prospective customers are and provide value there. These prospective customers then will become accustomed to coming to you for information and answers. This will make them much more likely to become paying customers when they are looking to make a purchase. You need to focus your marketing efforts on mediums and platforms that your target niche already uses. This alone is vital to getting a desirable ROI on your marketing investment. If you try to market on mediums where your niche has little to no presence, then you will likely end up wasting a lot of money. For example, if you have a product targeted to senior citizens, then advertising on Snapchat is likely a bad idea. Senior citizens are not on Snapchat, and that would be a waste of money. You need to spend time researching which mediums your target niche uses. On your website and social media platforms, you need to focus on only creating relevant content. Your content needs to be in your brand voice and useful to your target niche. Too often businesses create and post content that is off-brand, off-point, and ultimately useless to their marketing efforts. When you and your team are creating content, you should always be thinking about how your target niche will read and use the content. Your niche should always be first and foremost in your mind with everything you create. This way your content is relevant to your target niche, and they will seek it out. Most of the time when people are looking to purchase something, they are trying to solve a pain point in their lives. Pain points are how people evaluate the merits of products and services. Pain points are usually how prospective customers search for content. You need to consider the pain points of your target niche market, and then shape your products, services, and marketing efforts to addressing them. Think about what problems your target niche is trying to solve, and then provide the solutions to them. This line of thinking will help you to shape your niche marketing efforts. 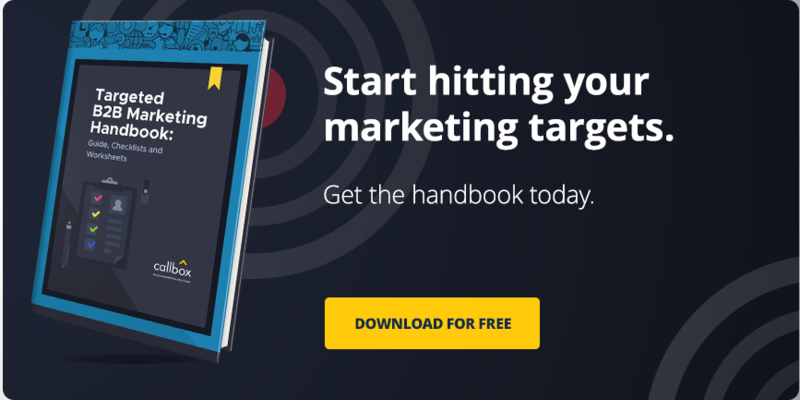 Targeting a specific niche in your marketing efforts is a powerful strategy. Doing so can create great successes for both large and small businesses. The potential gains in the ROI of marketing efforts by using this strategy should not be ignored. You should consider implementing or refining your niche marketing strategy for your business. No matter what your industry is, this strategy can be used successfully. Use these ideas to help you formulate your niche marketing strategy and start increasing your sales. How do you approach niche marketing? When doing niche marketing, it is best to utilize methods that will help you connect directly to your business leads. Choosing the proper marketing method to reach out to your leads will significantly improve your b2b sales leads generation campaigns. But what are these methods? Direct marketing methods like email and b2b telemarketing complement niche marketing pretty well. Other marketing strategies, such as social media marketing, advertisements, TV spots, and even PPC are more aimed at the mass market and not at the specific members of your niche. B2B telemarketing – if you want to get up front and personal with your business leads, nothing beats picking up the phone and dialing their number. Whether you want to know what they think about a certain product or what problems they have, telemarketing will be able to give you that voice. Hiring professional b2b telemarketers also allows you to easily follow-up any business leads that you want to set appointments with. The importance of follow-up needs to be stressed a lot because most marketers are too preoccupied with finding and qualifying leads that they forget to follow up on the already qualified leads. This results to lost opportunities for quality b2b appointment setting that they could have easily acquired..
Email marketing – having the email of your target b2b leads lets you create personalized newsletters and marketing email for each business on your client list. The level of personalization you can do for each email is only limited by yourself. You can discuss the topic on the forum where you met that business lead, or better yet, you can indicate the problem of the business lead for which you have the best solution. Seminars – trade shows, seminars and webinars are also great niche marketing tools because they attract the people who are really interested to hear about your topic. For example, if they have no problem with their corporate recruitment processes, why do you think they signed up for a free 2-day webinar about effective recruitment strategies? When you decide to market to a niche, it doesn’t necessarily mean that you’re constraining yourself to a limited number of b2b sales leads. It’s quite the opposite. In fact, once you’ve mastered how to identify the characteristics of your current niche, you can start expanding your marketing plans to encompass another niche as long as it still benefits from your products and services. 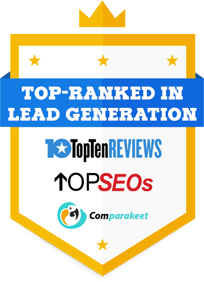 An expert b2b lead generation firm will help you improve your business by providing good b2b sales leads through well-targeted niche marketing.